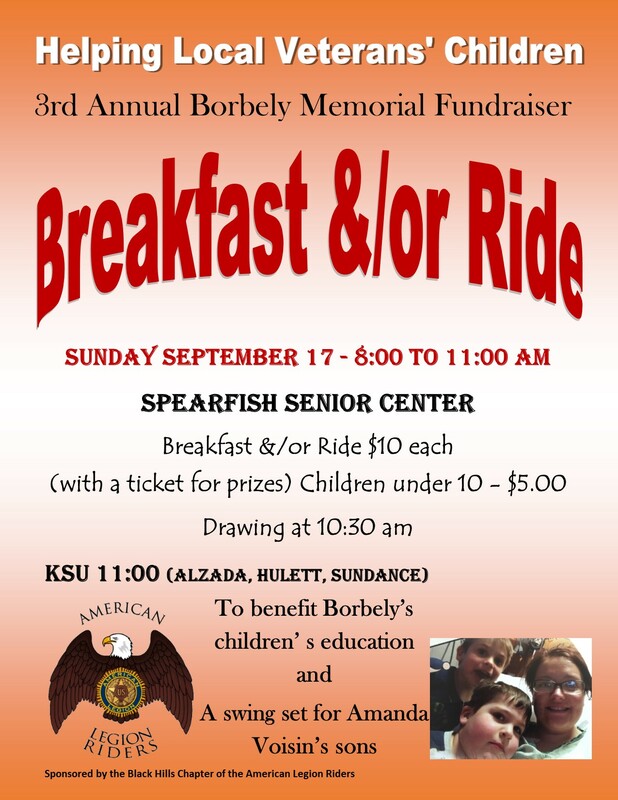 Members of the Spearfish American Legion gathered in the Spearfish Park and sold burgers, brats, and breakfast during this years Spearfish Arts Festival. Great job to everyone! Denny Brenden, candidate for State Commander, made a visit to the post and installed the officers for 2018-2019. Officers include Commander Doug Henwood, Vice Commander Brian Hambek, Finance Officer Jim Childers, Adjutant Ron Schuttler, Americanism Fred Nelson, Chaplain Gary Dettman. 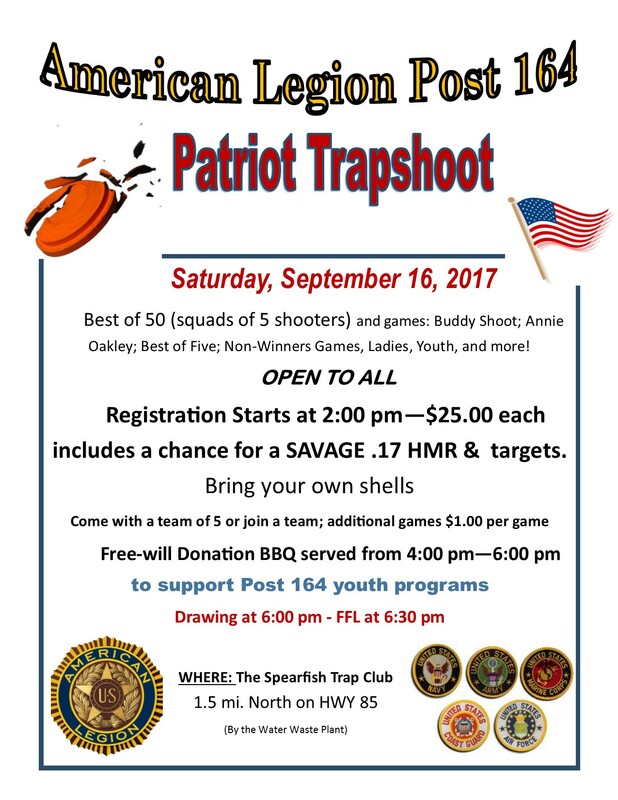 September 16, 2017 - Post 164's "Patriot Trap Shoot"
On Saturday, September 16th at 2pm, everyone is welcome to join us at the Spearfish Trap Range located near the Spearfish Water Treatment Plant between Spearfish and Belle Fourche. It will be a fun day of shooting trap. Those that can hit targets and those that try to hit targets are welcome. We'll be shooting for a good cause. Free-will donation barbecue. All registered shooters have a chance to win a Savage .17 HMR. American Legion Ball "Honoring all Veterans" A huge success!!! The Spearfish American Legion hosted the second annual ball in honor of all Veterans on March 18th at the Spearfish Holiday Inn Hotel and Convention Center. Dress was formal or business. The number of guest in attendance doubled from the first year. Thank you to all those that volunteered to help out and those that donated to the cause. Members of the Post were joined by members of the Black Hills Chapter of the American Legion Riders, the Spearfish American Legion Auxiliary, and the Sons. The team decorated and manned a booth. Members shared information about the American Legion Family and worked on recruiting new members. Post 164 awards Doug Henwood as our "Legionnaire of the Year"! Because of all the efforts put forth in supporting the Post and area veterans, Post 164 voted Doug Henwood as the 2017 Legionnaire of the Year. We all appreciate the efforts that Doug put forth. He is a hard worker who is still serving veterans and is promoting the American Legion principles. Doug's package will be going forward where he will compete for the District Legionnaire of the Year. Post 164 sponsored a ball in honor of the American Legion 97th Birthday! American Legion Family members gathered at the Spearfish Holiday Inn to celebrate the 97th Birthday of the American Legion. Members from as far away as Mitchell found their way to the event. It was a awesome evening that included great food, social time, and some dancing. The planning has already started for next years ball. BHSU honored veterans on February 5th at the ladies and men's basketball games. Several Post members were in the audience showing their Legion Pride! Thank you Post members. Members of the Spearfish American Legion gathered to contact expired members. Some members made phone calls and some members drove to pick up dues from members renewing. THINK MEMBERSHIP! American Legion members, Auxiliary members, Sons of the American Legion members, and American Legion Riders attended the picnic and honored the Girls and Boys State Delegates. Each delegate briefed the group on their experience at Girls/Boys State. The day was cool and damp but the Spearfish Honor Guard and Chapter 164 of the American Legion Riders presented Memorial Day Ceremonies at four area cemetery's. New officers were installed. The new Post Commander, Brian Dean, will be leading the Post toward the 100 year anniversary of the American Legion. The monthly meeting is scheduled for 6pm at the Spearfish VFW located at 3102 East Fairgrounds Loop, Spearfish, SD. Please plan to attend. Feel free to bring a prospective member or guest. Members of Post 164 will be joining other American Legion members from around the state at the 2019 South Dakota American Legion Mid-Winter Conference in Spearfish, SD at the Spearfish Holiday Inn and Convention Center. Come and join us! 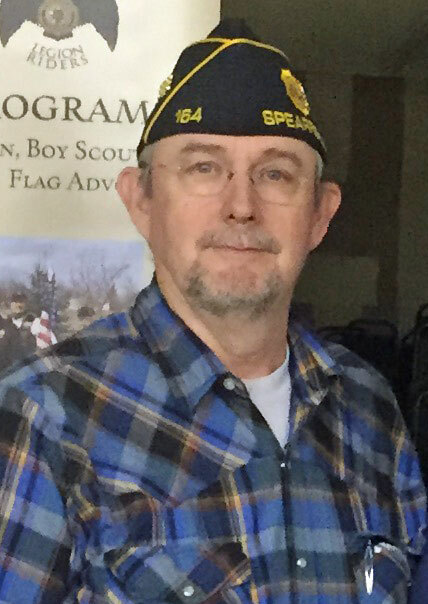 Members of the Spearfish American Legion will be joining other Legion members at the District One Spring Conference at the Spearfish Holiday Inn Hotel and Convention Center. Members of the Spearfish American Legion will be hosting a ball in honor of the American Legion's 100th Birthday at the Spearfish Holiday Inn, Hotel and Convention Center. Doors open and social starts at 6:00 PM. Ceremony begins at 6:30 PM. Formal or Business Attire, Dinner and Dance, tickets are $25.00. Daytime Contact Donice Hanson (850) 241-2819. Evening Contact Gary Dettman (605) 222-7610.